Round the clock patrolling, keeping eye on fire, special instructions to forest teams and villagers. The forest department is doing round the clock patrolling at the forest area where the Tiger was spotted after more than two decades. Special instructions were issued to the forest officers for keeping a watch on fire incidents due to upcoming summer season as Tiger loves to roam in open. The national animal was spotted inside the forest area of Mahisagar district which gives the state of Gujarat a special identity of having all the three members of the family. The presence of tiger is a welcome news for the forest officials, government and animal lovers. 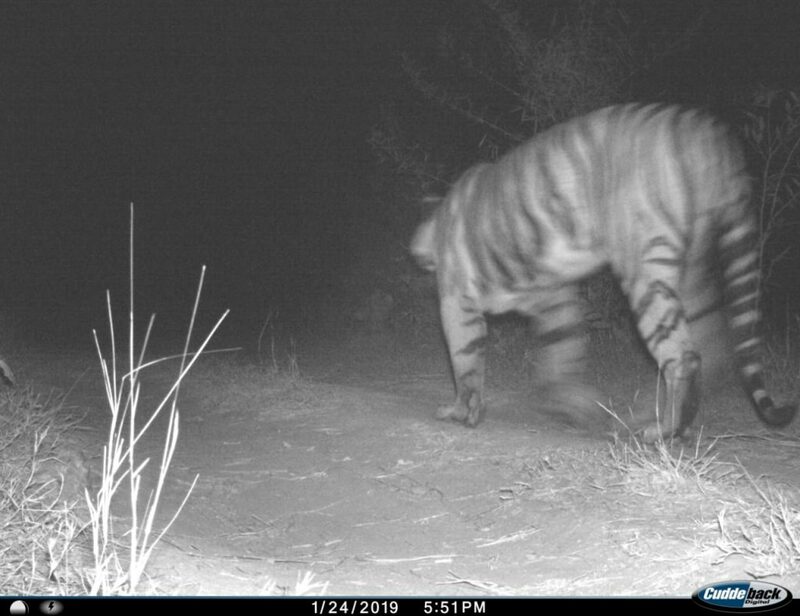 Range Forest Officer Rohit Patel said the Tiger presence inside the forest of Mahisagar was confirmed and he is roaming inside the 40 to 50km area. 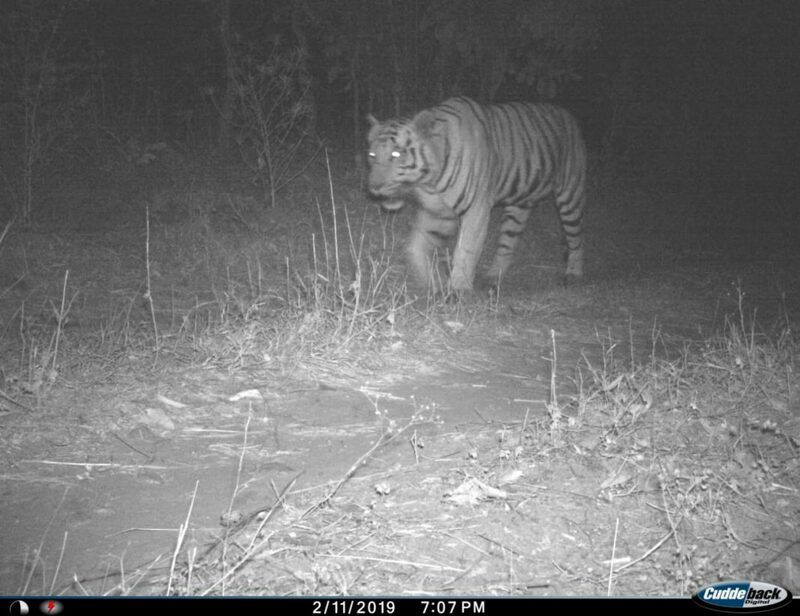 They checked the night vision camera on Tuesday but the Tiger was not spotted and now special care will be taken under the instructions of DFO and CCF to protect the animal. Special care will be taken to keeping an eye on the fire incidents due to upcoming summer season. All RFO and beat guards will be engaged in round the clock patrolling in the area. He further said tiger not to stay inside the cave due to heat and prefer to roam outside or inside the water. Panam river is flowing nearby the forest and also small ponds are inside the area to fulfil the thirst of the animal. The forest department always work to save the villagers and their animal living nearby and in this case also special instructions were given to them to be on alert. Leaflets were distributed to every Sarpanch and dairy owners and warning issued to the villagers not to venture out from their houses or enters the jungle at night.